Avoid having the same scale pattern appear in both your shirt and your tie. If your shirt has polka dots, don’t pair it with a same size dotted tie. In general, the patterns on your tie should be larger and bolder than the patterns on your shirt. 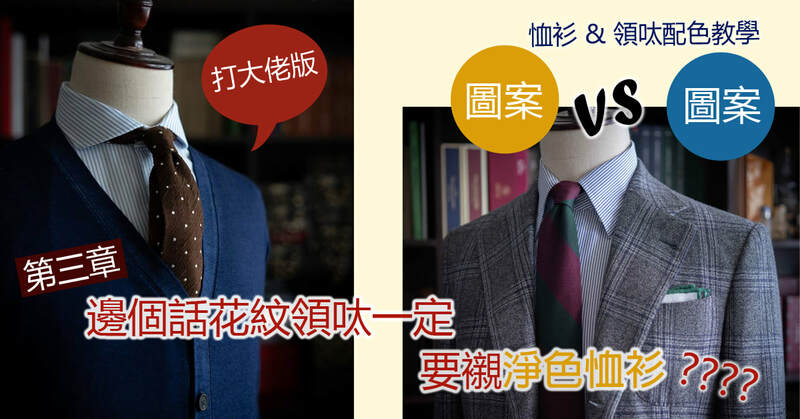 For example, a thick, wide-striped tie would work with a thin-striped shirt, but not a thick, wide-striped shirt. A big check would mix well with a smaller check. Having patterns of the same size (and/or type) can result in an overly busy look. Match a detail in the tie with the dominant color of the shirt. Determine the dominant color in your shirt and look for a tie with some of that color within the pattern. For example, white and blue, finely checkered shirt (that looks predominantly blue) would pair nicely with a brown (or any other base color) tie with bold blue stripes. Going with a solid-on-pattern requires a bit more thought than just matching solids, but rest assured that you’re still swimming in the kiddy pool. In fact, a solid tie on a patterned shirt is one of the easiest ways to work patterns into your outfit. Here’s the simple but key tip to pulling this off: match the color of your solid tie to the color family of one or more of the colors in your shirt pattern. The dark blue tie works perfectly with the blue checks in the shirt. 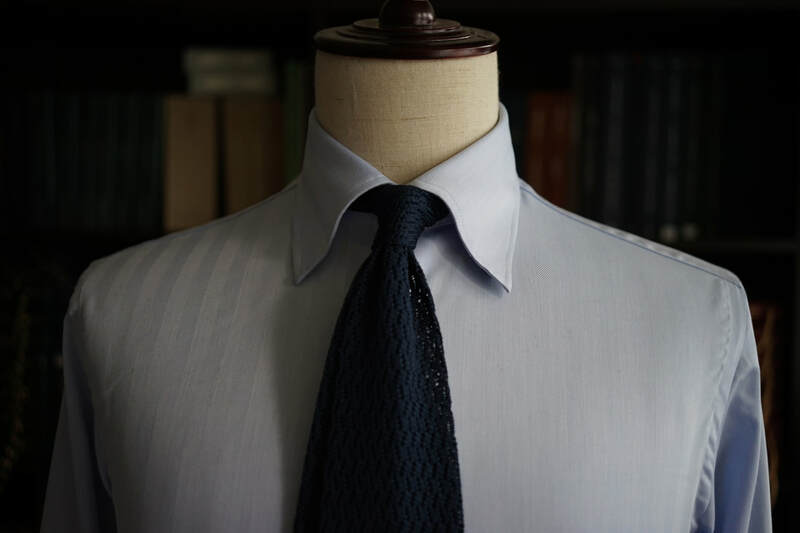 The reverse, a patterned tie on a solid shirt operates on the same principle. Just match one or more of the colors within the pattern of the tie to the color family of the solid shirt. Stick on these key points, you’ll never go wrong no matter how many ties you have. Use contrasting color combinations. No surprise here – you’ve probably already been doing this. If you’re rocking a foundation shirt like a solid white or a solid light blue or pink, you can pretty much wear any color solid tie you like. It’s a great way to make your outfit pop with a bit more color. This is a very classy, sleek look that many overlooks. Wearing a solid light blue shirt? Try it with a solid dark blue tie. Pink shirt? Go with a red, maroon or purple tie. If you are wearing white shirt, you can go for any colour just not in white. And one thing to avoid? Wearing a color combination where the color in your shirt and tie combo are too close. Do NOT over-accessorize. A pocket square, a tie bar and a lapel pin are too much at once. If you’re already wearing a pocket square and a tie bar, you should really avoid adding that lapel pin. A pocket square is one of the few menswear accessories which can add an extra level of polish and elegant touch to your suit. Avoid matching it with your tie either in colour, pattern or fabric choice, instead find colours that complement the outfit. Never wear a sports watch with a suit. Get yourself a proper watch, a classy piece either a leather or a chain watch is fine. Fascino Bespoke and YWCA worked together on a Saturday morning (26/8), sharing the passion and knowledge of the suits with the college students who are about to join the working society. The students were on site to identify their ideal interview suit. The students spent a pleasant morning with us, and we hope the suit would put them on track for successful careers. 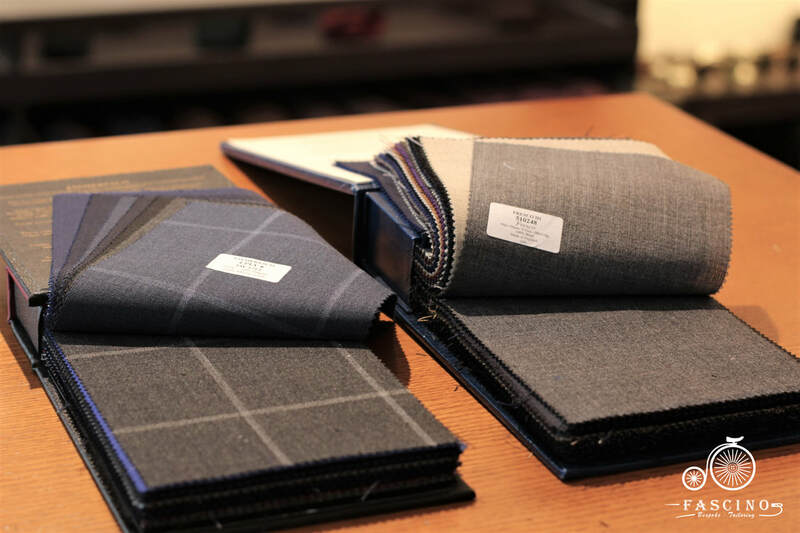 In Summer, wearing a suit in Hong Kong could be troublesome but necessary, and many customers ask what selected suit cloth works best to cool down and to maintain professionalism. Fresco fabrics from the UK are undoubtedly the inevitable choice. 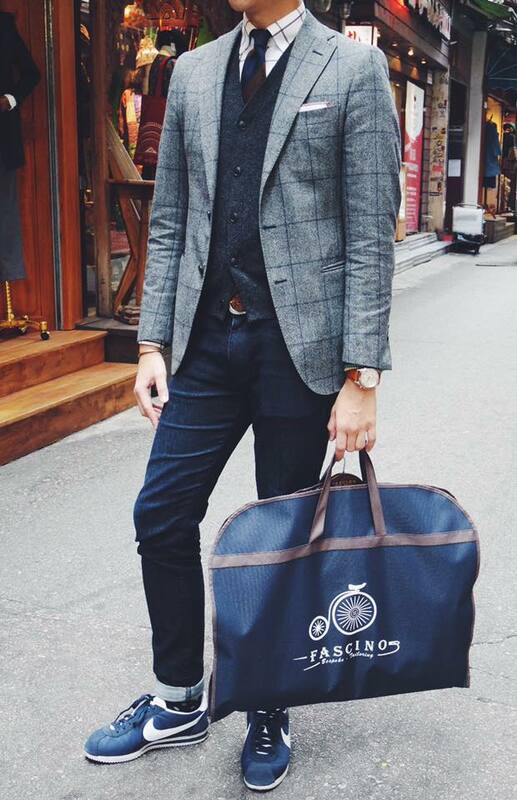 Like traditional suits, Fresco is woven with pure wool yarns. However, Fresco has a magical charm with excellent air permeability, durability and drape and wrinkle resistance. 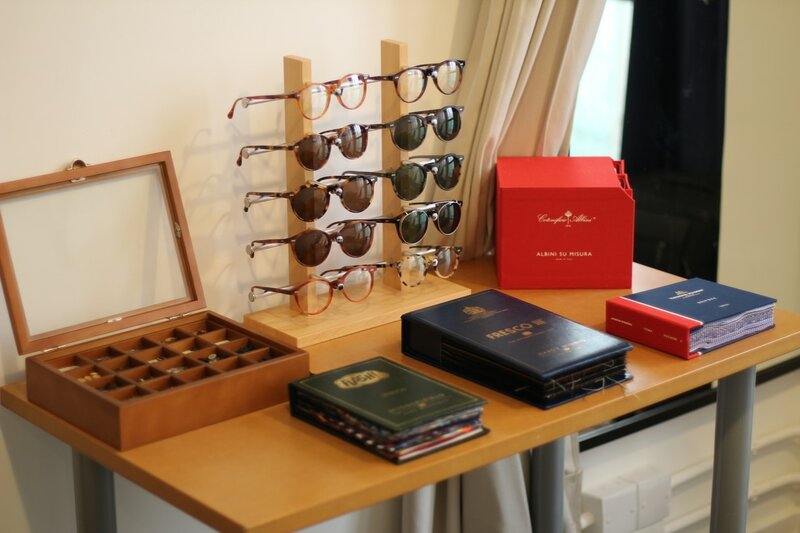 In Hong Kong's hot weather, breathability can be described as extremely important. 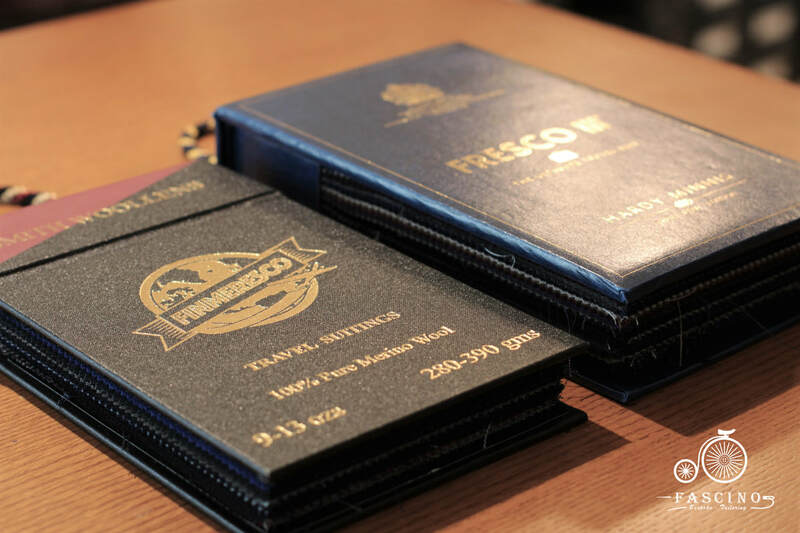 Unlike most of the other types of finishing, whether it be the looks and feels or the roughness and smoothness, Fresco has a relatively impressive ductility and its knitting can be very effective in maintaining the suit’s form. Even after hours of transportation in the air, the Fresco suit would still look straight and clean, showing off one of its many outstanding advantages.